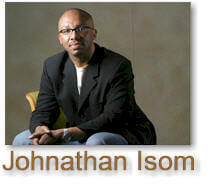 Johnathan Isom is an anesthesiologist who practices in Memphis, Tennessee. Johnathan says that the same force that drove him to medicine drove him to write his first novel. The challenge to engage in writing something that he would enjoy was the motivation. As an avid reader, his choice of reading materials includes spiritually-based or philosophical books, books on leadership, self-improvement, biographies and books geared towards the economy. He explains, "I've noticed that many of the plots in currently written contemporary fiction read like soap operas. The focus is often on deceitful people - somebody's friend or girlfriend leads them astray. And that's okay but I don't find that particularly entertaining and it is not something I want to read about." So he is chose not to complain or critique others, but rather he sat down and wrote a book he'd read. Johnathan tackled the writing his novel as he researched and sought out information and professionals in the field to get a better sense of what was required in such an endeavor. Armed with insight and a sense of what it would take for him to accomplish the goal of writing a book, Johnathan began an outline and established a schedule. He enrolled in several writing courses and read books, which gave him greater understanding of plot, character, story development and other aspects of writing a novel. "Originally I didn't have any aspirations of being a writer but I had a story to tell. However, from that one story comes many. I do see myself as a storyteller within this particular genre because I have stories to tell and I have put a story into writing to be shared with others. I only hope that my readers will enjoy the book as much as I enjoy the challenge of the process and if so the future holds great possibilities." 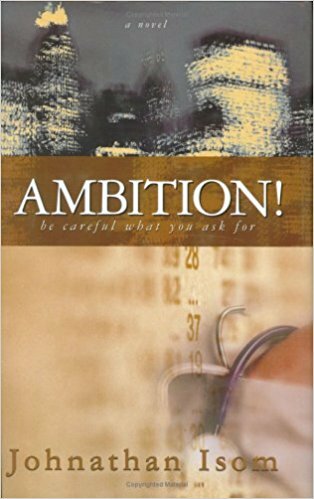 Although Johnathan is definitive in acknowledging that he views himself as a storyteller rather than a writer, it is clear that we will hear more from this new novelist who comments that his favorite character in Ambition! Be Careful What You Ask For, Private Investigator Mickey Stone, just might be his alter ego. Tell us how much you like Johnathan Isom.